Based on 646 customer ratings. Relax with a drink from our full bar and let us do the work when you stop by our dining room. You can also call us and order for pickup or delivery! Our Giordano's location in Westchester, IL, has become a part of this town's community. We love being a part of the place you call home, and we love that there's so much to do here. Westchester, IL offers a lot do and see — aside from our deep dish pizza. In 1924, Samuel Insull, a London native, purchased 2200 acres of land that would later become Westchester, IL. The village was officially incorporated in 1926. Insull wished to create a suburb in the model of an English town. The English-inspired street names and early architecture are reminiscent of his dream town. When it was initially built, Westchester was very different from surrounding suburbs because of its English style. Construction slowed during the Great Depression, but growth began again after World War II. Between 1950 and 1960, Westchester experienced its most substantial period of growth. Unfortunately for Insull, the homes built during this time were not in the English style. The original English dwellings became surrounded by ranches, stuccos and other architectural forms, and the population grew from about 4300 to more than 18,000 residents. The town's proximity to major highways and expressways was essential to residents during this period. Today, Westchester has expanded to fill almost all of its original 2200 acres. Go Ape Zip Line & Treetop Adventure: Is your family feeling a little adventurous? Test your bravery among the trees in this exciting outdoor activity. After you've worked up an appetite, meet us back at Giordano's for a sizzling deep dish pizza! Brookfield Zoo: See and learn about animals from all over the world. Check out some of their special programs, like the Sleepover Safari, where you can sign up as a family and experience the zoo after everyone else has gone home. Pinstripes: Enjoy a meal and other activities! Pinstripes is the place to go if you want the best of both worlds. Go bowling or play bocce in the indoor space — then you don't even have to drive to another place for dinner! Westchester offers a variety of highly-rated restaurants — whatever you're craving, you can find it here. For the best deep dish pizza in Westchester, IL, remember always to choose Giordano's. Visit us today! Are you an expert on pizza? Will only the best deep dish pizza do? Welcome to Giordano’s, where we’ve earned a 40-year reputation as the best pizza place in Chicago! 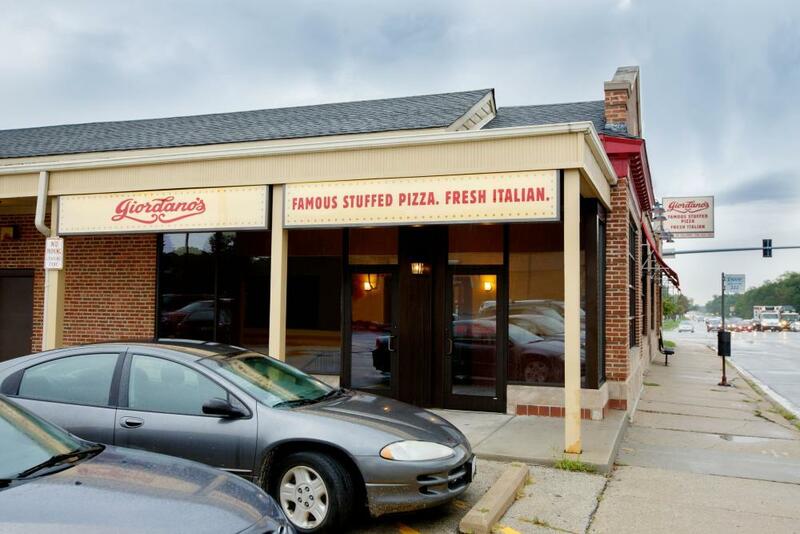 The good news is that you don’t have to drive all the way to Chicago to enjoy Giordano’s in your Westchester home. Come to Westchester’s own Giordano’s, and experience the taste and aroma of our stuffed pies today! The Best Pizza Delivery and Restaurant in Westchester Why settle for soggy crust, flat cheese and flavorless, greasy toppings? When you eat at Giordano’s, you’ll see why we’re one of Chicago’s cherished traditions. Our trained artisans handcraft every pie to techniques practiced by our family. You’ll love our incredibly flaky crust, and our fluffy and flavorful toppings and fillings. One bite is all it takes to see why Giordano’s is the best deep dish pie in Westchester! Giordano’s pizza is a meal on its own, but sometimes a little something extra hits the spot. You’ll love our mouthwatering sandwiches, delicious pastas, flavorful appetizers and fresh salads. Ask about our gluten-free options, too — there is something for everyone at Giordano’s!